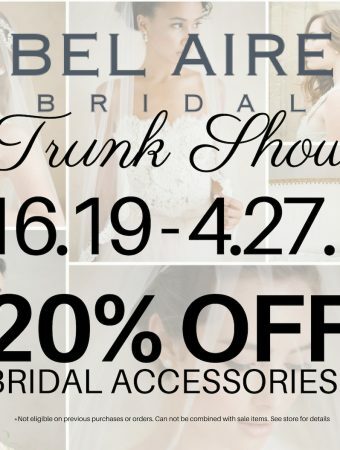 Mia’s Bridal is hosting a Bel Aire Bridal Trunk show to go along with our 20% Off April Accessory Sale! 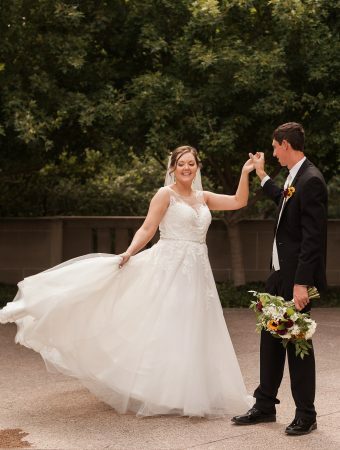 Bel Aire Bridal is one of the leading designers in bridal veils, headpieces and belts. From glittering tiaras to romantic combs, vintage headbands to sparkling hair pins, they have a look for you! Bridal veils range from simple ribbon or cut edges and dainty, beaded designs to lace trims and extensively embroidered masterpieces. Their collections are coordinated into fashion-forward, glamorous, vintage, romantic, trendy, and classic designs. 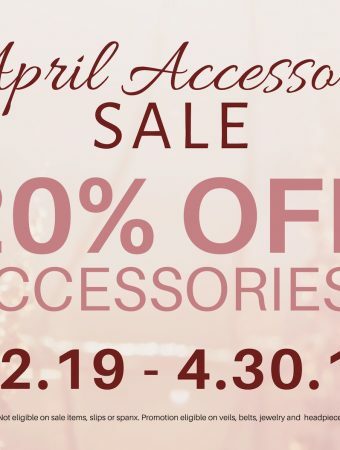 Accessory Sale – 20% Off in April! Are you looking for that finishing touch for your wedding gown? 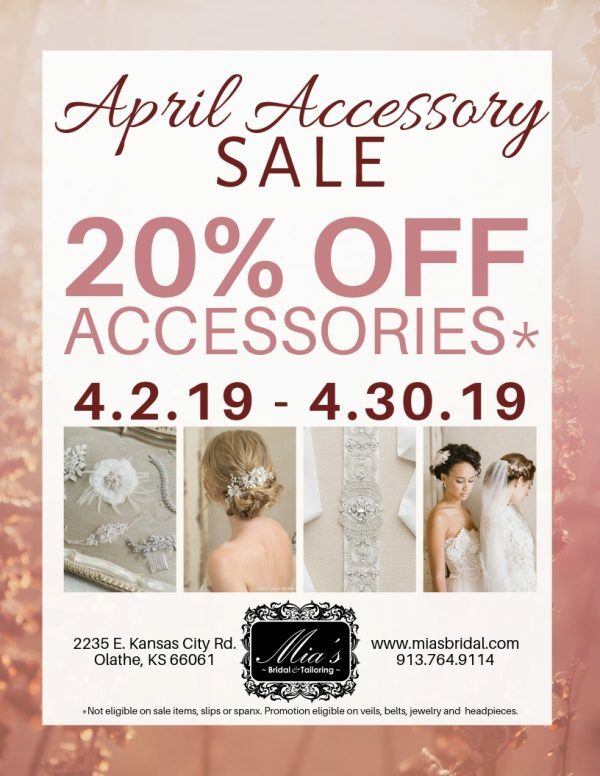 Mia’s Bridal is having a 20% OFF Accessory Sale for the entire month of April! 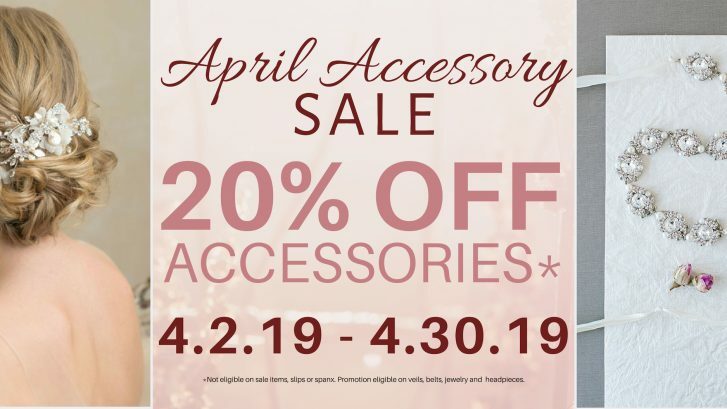 This is a great time to find the perfect earring and bracelet combination, or possibly you are looking for a belt and a veil! 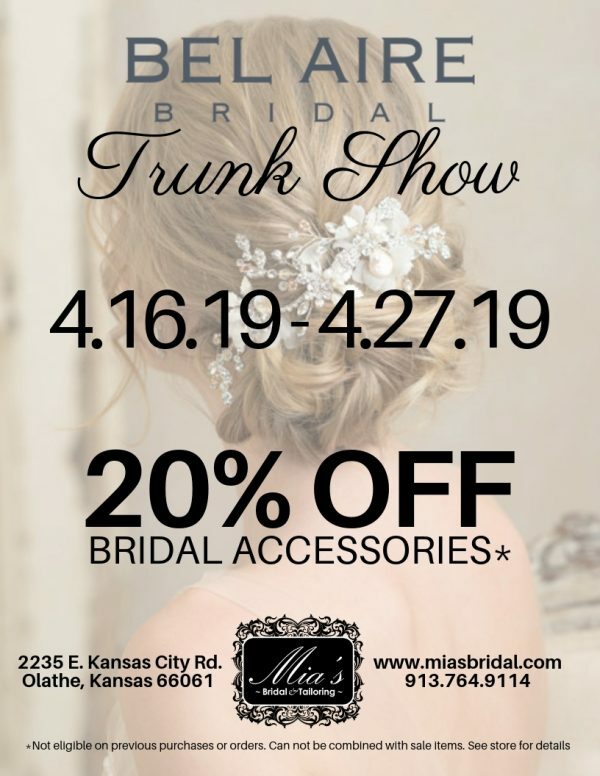 Whatever you are searching for, Mia’s Bridal can help! 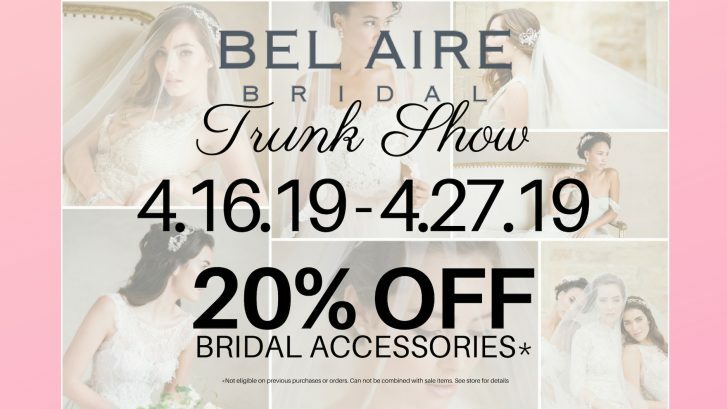 During our April Accessory Promotion, we are hosting a Love Bird Jewelry Trunk Show and a Bel Aire Bridal Trunk Show featuring the newest Spring 2019 styles! Check out their event posts for more details. *20% off promotion does not include slips, bras, fabric, Spanx or sale accessory items.